The United Kingdom of Great Britain and Northern Ireland is a constitutional monarchy located in Western Europe. Millions of tourists go there every year, but it is not because of the weather. However, the United Kingdom is rich in history, and its remnants are very well maintained. Some people are fascinated by the monarchy and everything that revolves around it. London is by far the most popular tourist attraction. You can visit the Buckingham Palace, take a ride in the London Eye, see the Tower of London and the Big Ben, and you cannot miss on taking a trip on one of those red, double-leveled buses. Plus, if you do not capture a picture in a telephone box, you have never been to the United Kingdom. But before you travel to the United Kingdom, you need to check if you need a visa to enter the country. Many people believe that just because the United Kingdom is in the European Union (until Brexit, anyway), it is in the Schengen Area as well. The truth is that the UK chose an opt-out of the Schengen Agreement, which means its borders are not open to anyone. Even so, the visa policy of the United Kingdom is similar to the one of the Schengen Area. For starters, there is freedom of movement reserved for some nationalities, and many others are visa-exempt for stays that do not exceed 90 days. The Annex II in the Schengen policy applies with a few exceptions, but there are a few additions. Electronic visas are also available, but not in the traditional sense of the world. 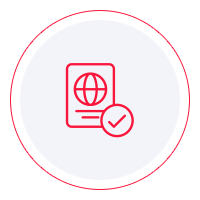 To paint a clearer picture, the citizens of Oman, Qatar, Kuwait, and the United Arab Emirates can obtain an electronic visa waiver online. All the other nationalities must obtain a visa through the UK Visas and Immigration or at a visa application center. To see in which category you fit in, you can study the UK’s visa policy. Nevertheless, it is not the most comprehensive policy, which is why we advise you to use iVisa’s Visa Checker. It is a simple tool that tells you what you need to know in just a few clicks. First, you need to access the feature by clicking on the Visa Checker in the top right corner of this page. Then, you must select your country of origin from the drag-down menu on the left and add the United Kingdom in the box on the right. The result will tell you if you need a UK visa, and if you do, you will be provided a list of the nearest diplomatic missions or visa application centers. iVisa does not process visa applications so that you can get your UK visa, but we would still like to help in some other way. That is why our support service is at your disposal 24/7 and is free of charge. We regret that we cannot provide more assistance with your UK visa, but we do hope that the information above leads you in the right direction.